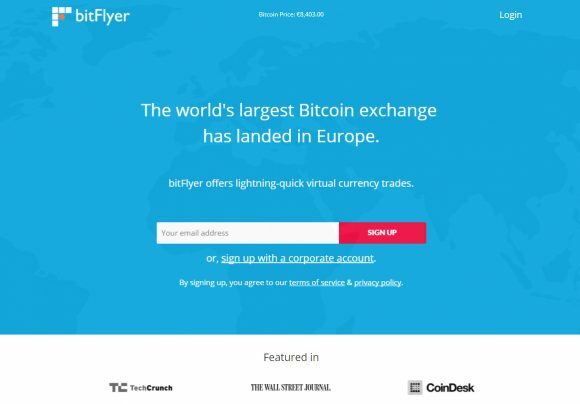 bitFlyer, the largest Japanese cryptocurrency exchange has been granted payment institution (PI) license to operate in the European Union (EU) and is now accepting registrations for users from EU. It is interesting to note that this has become the first Bitcoin exchange to be regulated in Japan, the US and Europe, making it the most compliant virtual currency exchange in the world at the moment. The Japanese crypto market is booming and thanks to bitFlyer users from Europe and USA should be able to get access and trade Bitcoins on that market. The not so good news at the moment is that bitFlyer’s initial product offering is only the BTC/EUR pair, though the already has company plans to add support for other virtual currencies such as Litecoin (LTC), Ethereum (ETH), Ethereum Classic (ETC) and Bitcoin Cash (BCH) later in the year. bitFlyer Europe is offering zero percent trading fees as an introductory promotion until the end of February 2018. There are two account classes available at bitFlyer at the moment, one is Trade and the other one is Trade Pro with the difference being the limits you get. The catch with the standard Trade account is that your virtual currency deposits will be put on hold until your make your first EUR deposit. 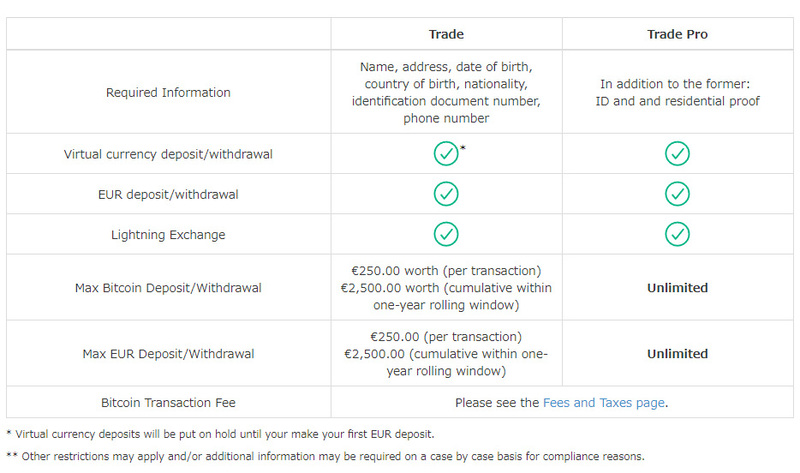 The Trade Pro option does require an ID and residential proof and unlocks unlimited deposits and withdraws of crypto and EUR. It is not yet know how much time a verification will take with the recent peak of registrations of new users in pretty much every open crypto exchange on a daily basis. Our experience however has shown that it is a good idea to register early and avoid possible issues later on, even if you do not start to use an exchange immediately.